Undoubtedly, fishing reel is one of the very significant features of your fishing tackle. Therefore, the one you will choose defines your success in your fishing activity. 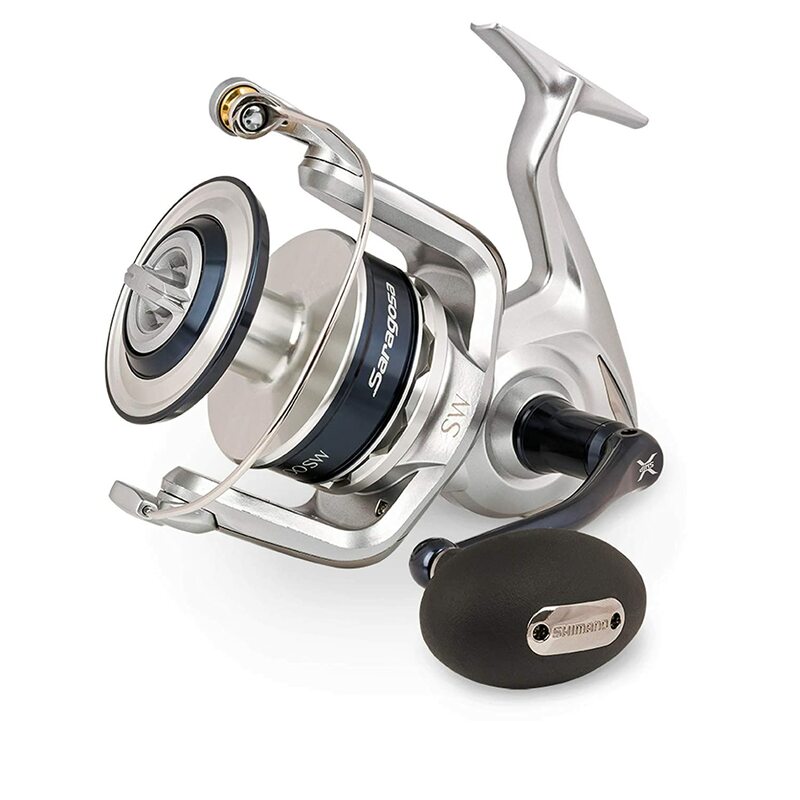 In this review article, we shall outline for you the 7 best tuna fishing reels. Additionally, we shall keep you post on the things you need to consider when buying them. Also, you will find the answers to questions regarding these reels that you have always wanted to ask. The Shimano Tiagra Big Game Fishing Reels has got the attention of both beginners and Pro Anglers. It is an ultimate choice with a great performance against even the big fish like the Tuna. Actually, this reel has been labeled by many as “constructed like a tank” and that is exactly what we observed. Certainly, you will never miss realizing this from its ruggedness and the durability. Any angler will be attracted its ability to change speeds quickly making it ideal for live bait purposes and trolling. Generally, it combines cutting-edge technology, durability and skilful craftsmanship to give the best you can expect. Besides being professedly unstoppable, it remains remarkably easy to use. In terms of performance, longevity and consistency, these reels come second to none when it comes to Tuna fishing. First, its relentlessness in water sets it apart from its competitors. It features an X-Tough drag that heightens smoothness dramatically while maintaining its control and toughness. That means it will give you humble time while catching Tuna and begins to peel off the line. It is a sure reel for fighting big fish and will get Tuna into your boat without much struggle. Notably, the reel can also be applied in fishing other huge fish like stripers, mako sharks and marlin. Indeed, it is a serious reel meant for serious fishing. Nevertheless, if you're doing fishing for fun you can still buy it to get the experience. 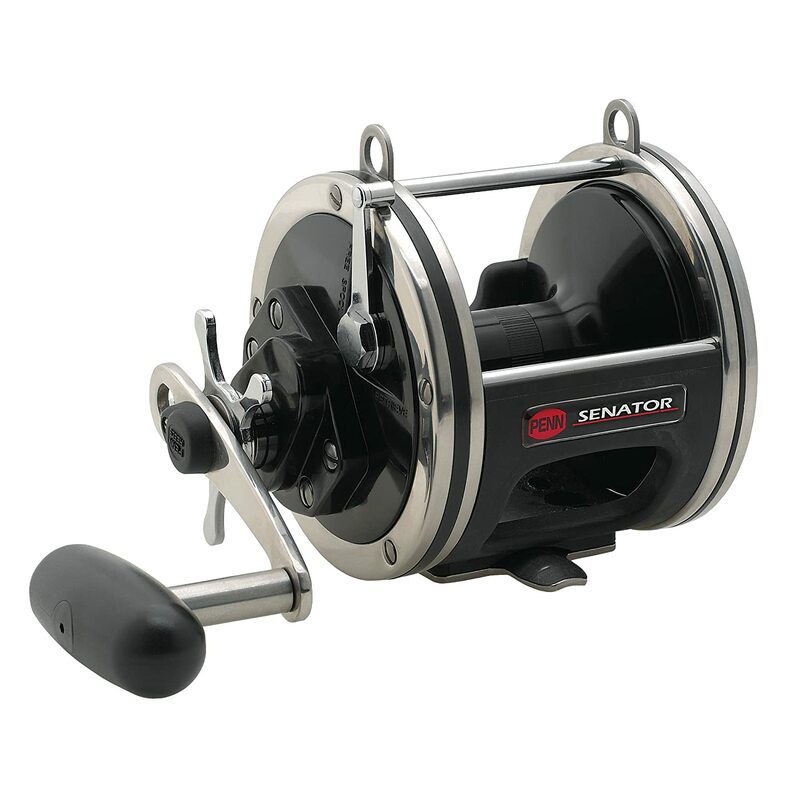 If you are looking for a good budget tuna fishing reel then Penn Senator reel should be your priority. It is a reel that has got has some sharks without any letdown. With the ability to hold 750 yards of a Dacron line, you can easily catch Tuna even in the deep waters. No doubt, it is a low priced reel that you can never go wrong with! In fact, we are confident nothing even comes close this in terms of its price as well as the performance. You may get concerned if weight a critical feature for you, however, the performance is still great. 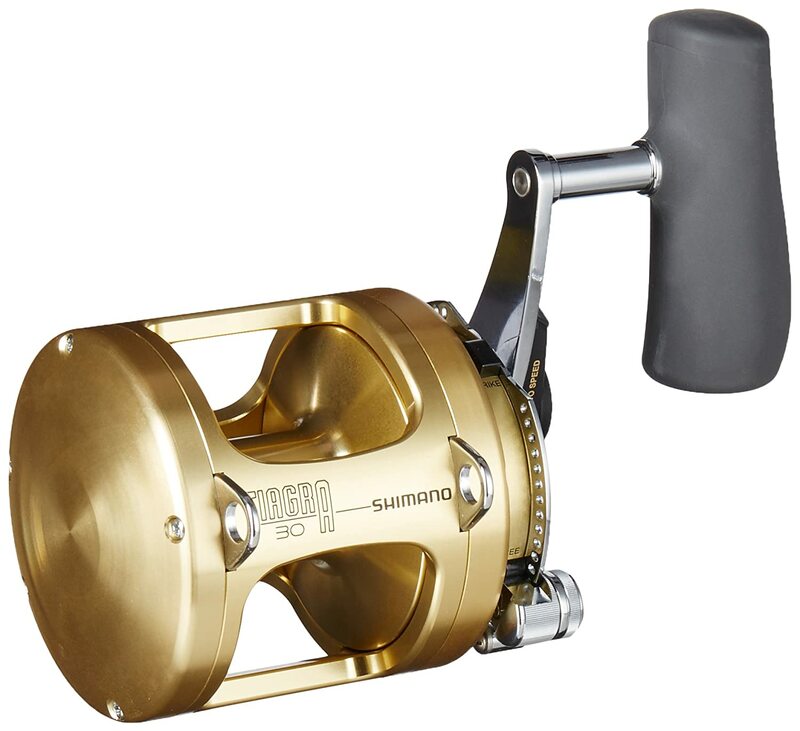 The SHIMANO SARAGOSA SW reel is heavy duty gear for Tuna fishing. With the line capacity of 650 yards that is of 65 lb braided line and 44 lbs maximum drag force, you can trust it. Really, these are pretty essential specifications that will work when catching Tuna. Ordinarily, the abuse of a large Tuna requires a super heavy duty machined gear. 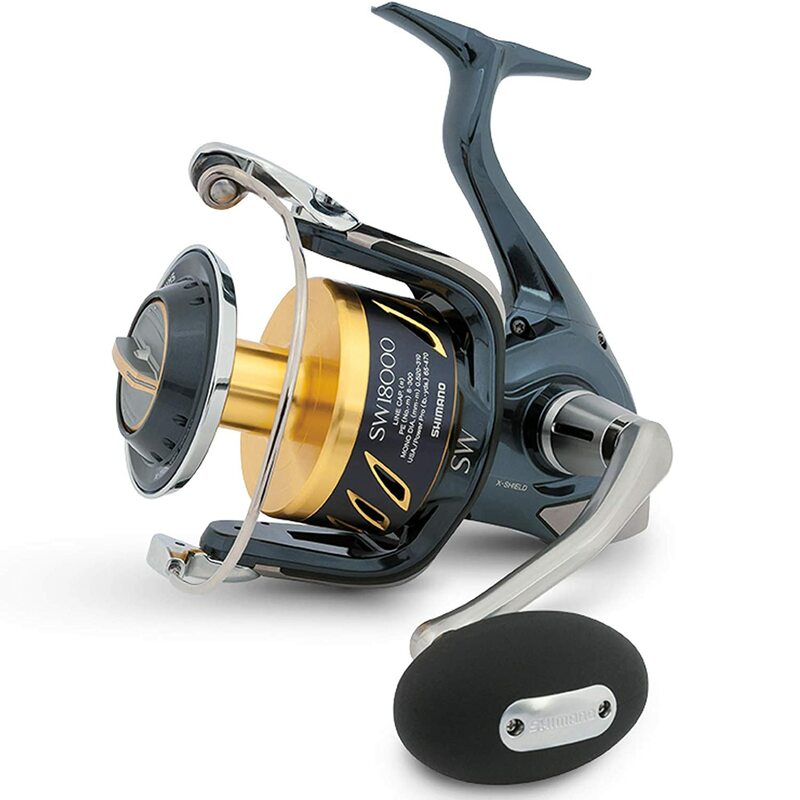 Luckily, this is exactly what SHIMANO SARAGOSA SW Tuna fishing reel offers thus giving you the confidence you need. This model is particularly made and built to fight saltwater big game fish like tuna. It may prove hard for beginners as it doesn't come with a manual. Still, it is easy to use. The Penn Squall LevelWind comes with a lightweight but robust graphite frame plus side plates. If you are a serious angler then you understand what graphite means when it comes to reels strength and durability. This also adds to its performance features and takes it to another level! Additionally, we found that the central and pinion gears are made of stainless steel. Actually, that should tell you that you can trust its strength and endurance as well as the corrosion resistance. Another thing we like about this reel is the Dura-Drag system- a super tough and dependable drag system. The counter may sometimes fail to give the accurate amount of the line getting out. Still, the reel does well under heavy weights of fish. First, before you even handle this reel, you will notice something about its construction. Both the side plates and body are made with a complete metal. With that, the reel becomes robust and can manage big fish like Tuna. More so, the main, as well as the pinion gars, are stainless steel. 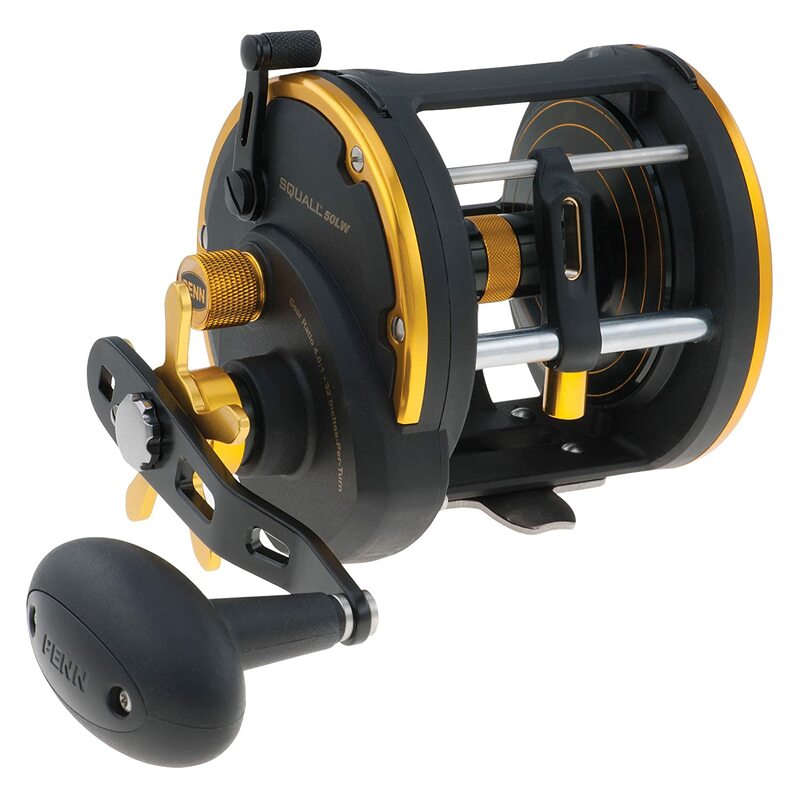 The famous Dura-drag washers and 5 shielded ball bearings in this reel will deliver smooth and constant drag pressure. Apart from this, this reel features an anti-reverse system (double-dog ratchet). Because you will be battling big fish, it would be great if you have a way of monitoring your line. With the line capacity rings, this is possible with Penn Fathom Lever Drag too. Even with a bit of play in its handle, it still does a good job. You should try it. 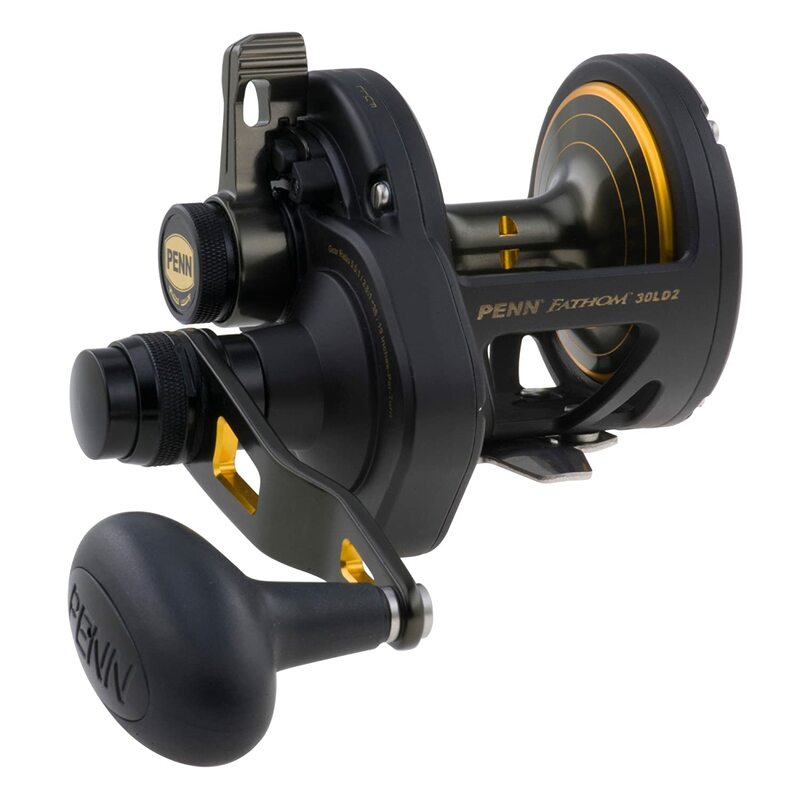 This is one of the greatest tuna reels designed by brand Penn, a brand that has cutting edge products. It comes two distinct forms of gear ratio 1.5:1 and 2.9:1 and it was made to serve in saltwater fishing. Its aluminum spool will deliver a robust fishing experience you need for big fish. There a great balance between the reel's weight and power. 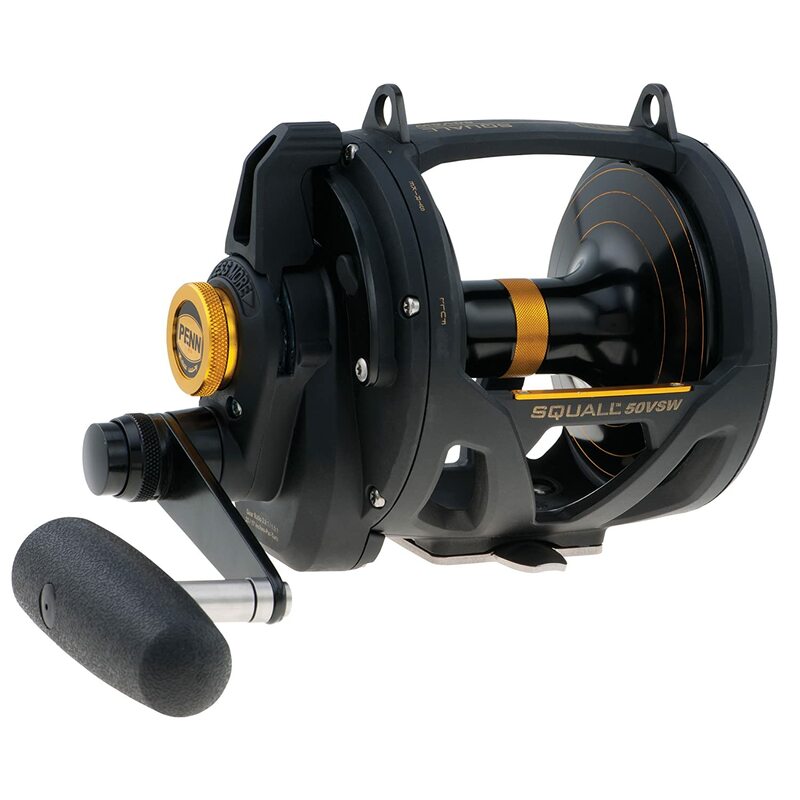 Essentially, the reel is lightweight but still has reliable power. Both the side plates and graphite frame will keep your worries away while fishing in saltwater environments. Any good reel should have the capacity to hold sufficient line. This is because such reels will manage long runs and deep waters easily. Normally, a minimum of 300 yards is the ideal capacity that will work well. This may cost you a bit but it will raise your chances of having a lot of success. If you will choose a spinning reel, it may imply that it will be in your hands most of the time. Also, you will be repeatedly casting and retrieving it the whole day. In that case, any extra ounce will matter. Therefore, a lighter fishing reel will make your work easier. But remember that you should not forego strength to have a lighter reel. Every fishing reel must have a mechanism that protects it from damages. Usually, the cheaper or lighter model weight ones employ bushings. However, this always leads to lower endurance and a pause and go action. A good fishing reel will have ball bearings which will give a smoother action, particularly when under load. In fact, the more the bearings in a reel the better the reel is. The gears in a fishing reel are meant to increase the power generated with each rotation of the handle. Consequently, a low gear ratio will turn easily but will need more rotations compared to a higher ratio reel. ✔️ Higher gear ration is good when retrieving lures at an accelerated speed. It is also desirable when you are attempting to cover large distances as you search for fish. Essentially, this is the mechanical, movable friction which defines the amount of resistance required to draw a line from the reel. Always choose a reel with an optimized drag adequate to tire, shift and ultimately land a big fish. 1. My reel's handle spins backwards on hook set. What could be the issue and the solution? Probably, the Anti-reverse bearing has been damaged and it should be replaced. It means the reel is too lubricated with oil hence the oil should be wiped from the bearings. 2. What happens when the line fails to stack properly? In such a case, you can apply gear washers to fit the spool height on your reel. Add a click gear washer if the line is very high on the spool. In case it is very low, exclude a click gear washer. 3. My fishing reel for Tuna makes noise as I use and does not cast as far as it has been what could be the issue? Certainly, your velocity management system has become dry and needs oiling. The centrifugal braking system could be worn and requires replacement too. 4. What could be the issue when my Tuna fishing reel keep backlashing on casts? Try to adjust the spool tension and the velocity Control System or the Magnetic Control System. Both the Tuna fishing reels in this review have been carefully chosen. With consideration of a balance between the performance and price, these are indeed the best tuna fishing reels. You may want to consider your budget, fishing environment of other preferences. Still, you will realize that your option is still catered for in this list.